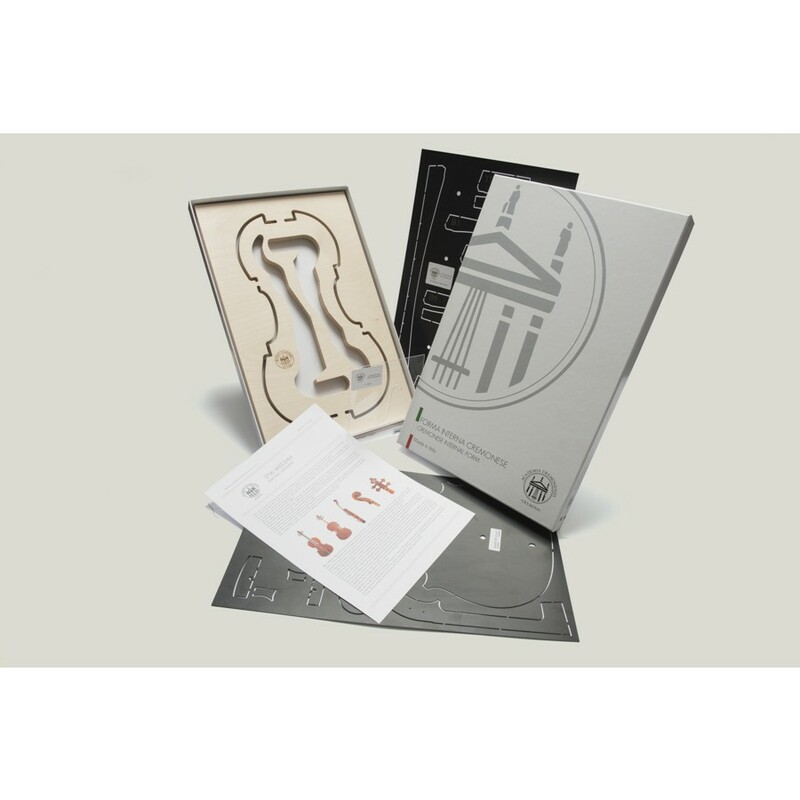 511179	 Deluxe Pattern Mold Set, Model A. Stradivari "Messiah 1716"
511180	 Deluxe Pattern Mold Set, Model A. Stradivari "Cremonese 1715"
511181	 Deluxe Pattern Mold Set, Model Guarneri del Gesù "Kreisler"
511182	 Deluxe Pattern Mold Set, Model Guarneri del Gesù "Cannone"
The choice of the model is always the starting point for the construction of a professional instrument. 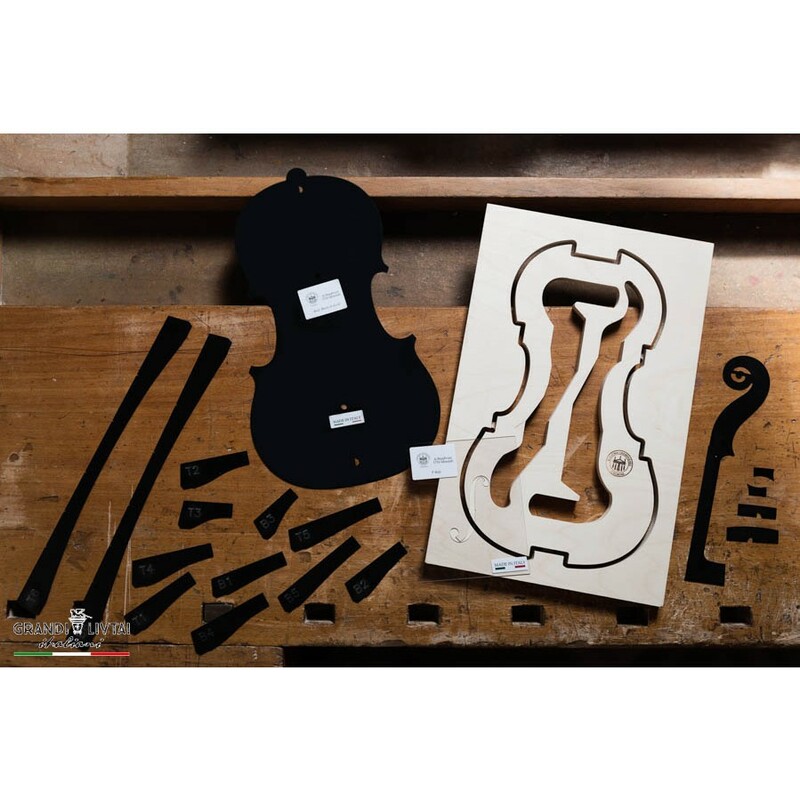 In 2006 we created with the help of some technicians of Cremona the first mould inspired by one of the most renowned Stradivarius: the Messiah of 1716; we revised the original lines, and, keeping the relative dimensions, we have created a symmetrical pattern and ideal for creating a mould of a violin box measuring 35.5 cm. We subsequently redesigned the sound holes adapting them to the arching, the scroll model redesigned to follow the modern size, and models of the archings of top and back, even those different from the original to meet the taste of the modern luthiers. 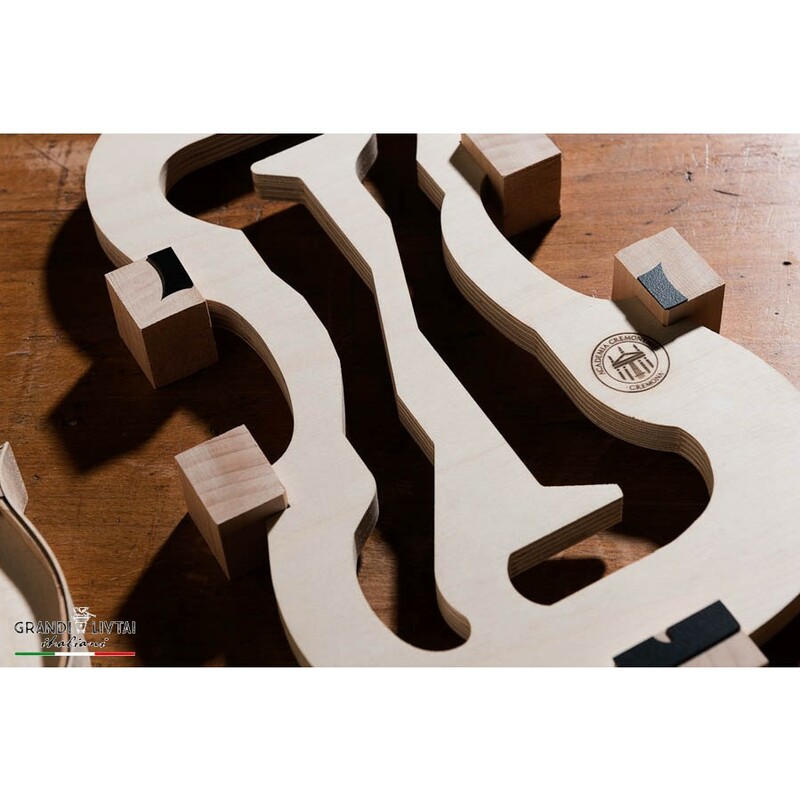 The same process took place for the other proposed models, so they are not faithful reproductions of the original, they are symmetrical, but they retain their measurements and lines. 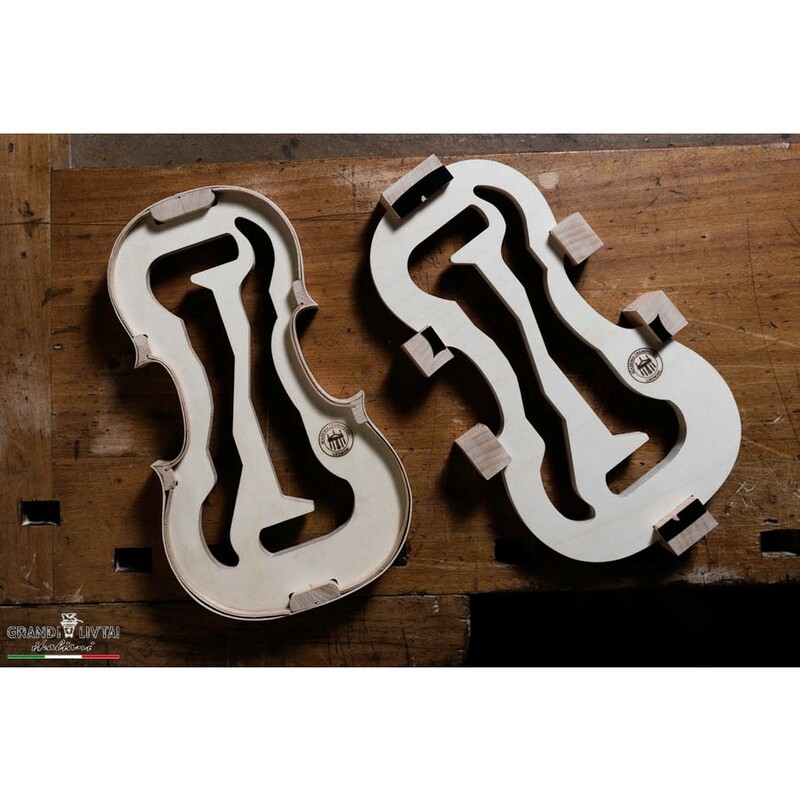 For the form we chose to use sheets of 15 mm plywood of high quality birch with phenolic glue to withstand moisture; inside the form we designed some holes that allow to use many clamps to follow the profile of the ribs and to keep the track of the centerline. In this new version of the form we also cut the housings for all blocks. For the models of the back, scroll and blocks, as for that of the archings, we used a highly resistant (100%) black rigid laminated material Made in Italy that guarantees a long duration even using them frequently. 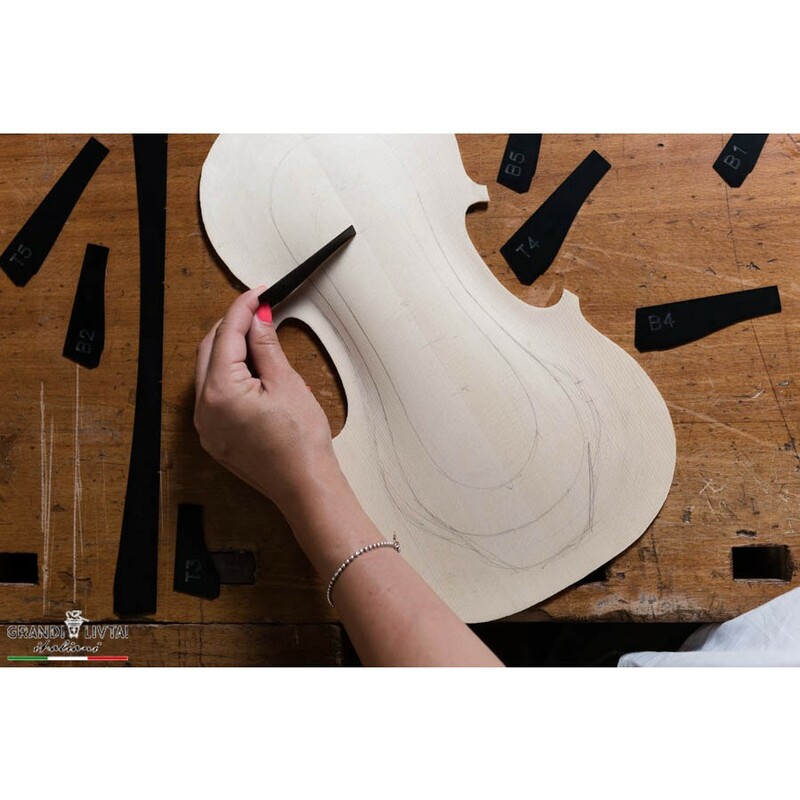 The f-holes model is cut into a high-density transparent polycarbonate which, although it is very elastic, allows the luthier to file it to modify and personalize this very important detail of the violin. The kit also includes a brief history of the author and of the violin and a small illustrated user manual. 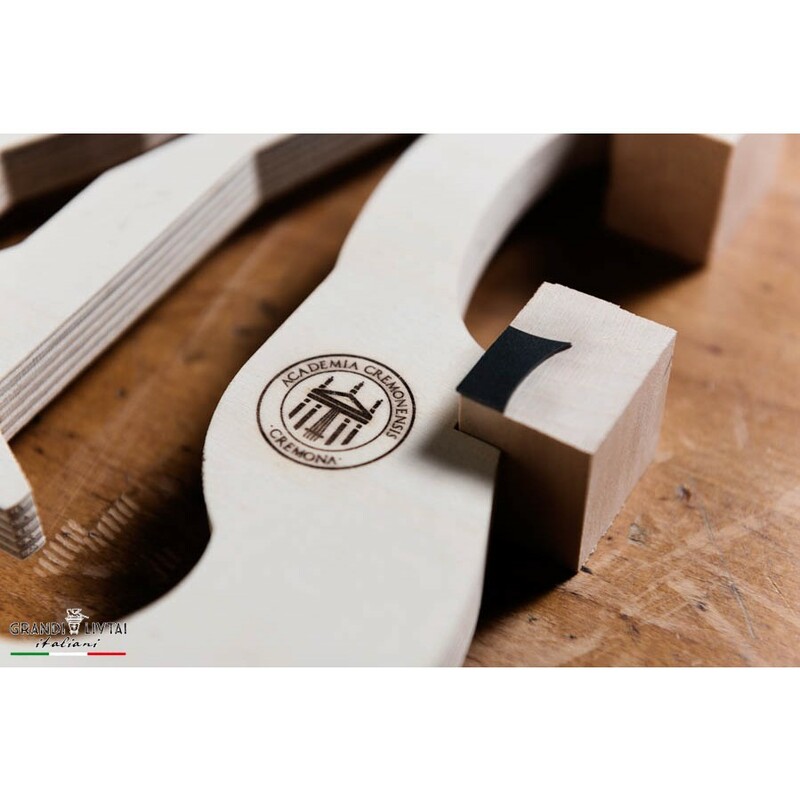 The whole production is strictly carried out in Cremona, where expert technical luthiers monitor the quality and ensure the accuracy of each element of the kit. A wonderful product, beautifully packaged and quickly posted, thank you. Everything is here. It looks impressive and am very pleased with it. Very precisely made product. Received very well packaged and in good condition. Fast shipping. easy to use. There is everything you need in the set. In one word - excellent! There is everything... almost everything needed. GREAT! © 2019 Cremona Tools. All Rights Reserved.